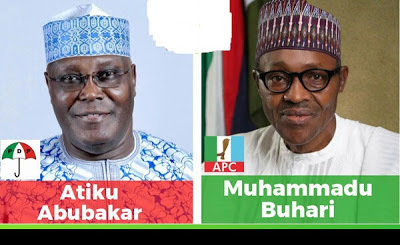 The two dominant political parties, the All Progressives Congress and the Peoples Democratic Party, have begun to strategise on how to raise funds for the 2019 election campaigns. This is coming barely one week after INEC lifted ban on campaigns for presidential and National Assembly elections scheduled for February next year. Findings by The Punch indicated that the leadership of the parties had already started making moves on how and where to rake in money for the campaigns which would run into several billions of naira. While it was gathered that each aspirant for elective offices except the presidential candidates would be expected to largely fund their campaigns, it was learnt that the national leadership of the parties would also contribute to the campaigns. Already, the parties might have devised means of beating the amount set as highest to be spent by an aspirant to each political office by the Electoral Act. The National Assembly had recently amended Section 91 of the 2010 Electoral Act, which guides spending by candidates for elections. While it said election expenses for presidential election should not exceed N5bn, the new law also stipulates that no governorship candidate should spend above N1bn. The limits stipulated by the Act for other contestants are: senatorial candidate, N100m; House of Representatives, N70m; State House of Assembly, N30m; local government chairman, N30m and councillorship, not above N5m. These are in line with the amendment to Section 91(1 to 7). The law also said that no individual or other entity shall donate to a candidate more than N10m. It was gathered that the parties might use corporate organisations and individuals to fund the aspirants, thereby making it difficult for INEC to trace the amount spent by such individuals and private organisations to the political parties. Although the national leadership of the two main political parties, the APC and PDP, were evasive on some sources. Investigations showed that the parties would rely on multiple sources for the funds.